A true Pacific Northwest style craft ale, not quite like what you have tasted before. High portions of rye malts combine with northwest hops to give this copper coloured ale a complicated and intriguing, yet smooth and surprisingly drinkable flavour. 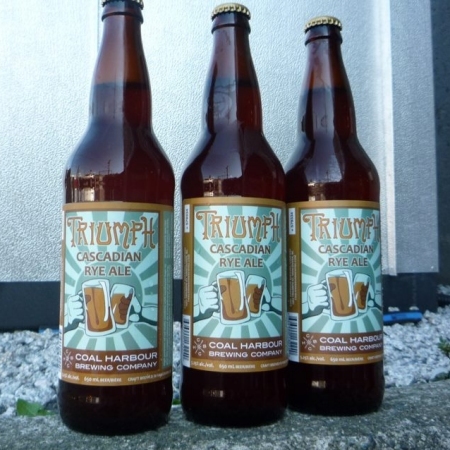 650 ml bottles of Triumph are available now at select liquor stores in Vancouver, and will be joined soon by Coal Harbour Vienna Lager and other brands from the brewery.